Going vegan, whether it’s overnight or happens in phases, is ultimately a multifaceted transition no matter how you do it. When we come from a society that infuses animal products in just about everything, and I mean everything, we need to detox ourselves at multiple levels. From our pantries to our showers to our closets, we typically use animals for our benefit more than we may even realize. After you’ve gone through the elimination-of-bacon-acceptance-phase and read up about how you can make veggies taste good, you may find yourself learning more and more about what else actually isn’t vegan outside your kitchen. When I first decided veganism was for me, frankly, I had the thoughts that honey was not that big of a deal to keep using. I mean, bees make it…plenty of it, so why is it that bad for us to use? My German grandmother used to give it to me with my pancakes as a kid. It helps your sore throat in winter when you have to stay home from work. It’s in your moisturizer, which promises anti-aging benefits. It comes in your lip balm and shampoo, even your candles. It’s everywhere! If there are so many alleged benefits of its use, why wouldn’t you believe that everything marketed with honey is super good for you? And that’s what we’re here to uncover in this truth series. If you’re a vegan who has consumed honey not knowing the implications, let me just tell you: it’s okay, we’re all learning here. If you’re considering going vegan and want to know why consuming honey is such a big no-no, please keep reading. A bee makes only a twelfth of a teaspoon of honey over the course of its WHOLE LIFETIME! I don’t know about you, but my reaction is “HOLY CRAP!” We are literally stealing self-made food straight from bees’ mouths and then wondering why they’re going extinct! 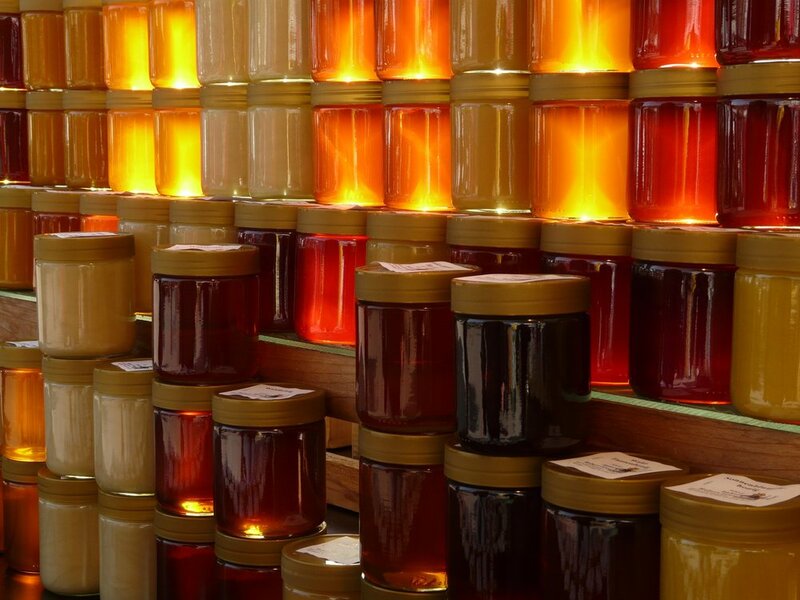 · Beekeepers often replace honey in the hive…again, the bee’s highly nutritious food source…and replace it with a sugar substitute, which is horrible for bees’ health since it lacks all the good stuff they need to be healthy little bees! Bees are bred into productivity, which means their gene pool gets tampered with and diseases can flourish amongst the bee populations. This is one of the causes of mass bee distinction. What doesn’t makes sense to me is that when we decide to play “God” by mass breeding or genetically modifying bees, which affects the populations of other insects competing for nectar, ultimately wiping them out, we wonder why the population of bumblebees and some bird species have declined so much. When we import or export honey, the emissions that come from the transport process has a tremendous carbon footprint, which also tampers with the Earth’s atmosphere. If you’re thinking, “Okay, I’ll stop eating honey, but what can I replace it with?” I’ve got a few vegan alternatives suggested by The Vegan Society that can satiate your sweet tooth, be used for any baking needs, and replaced in skin care products. Keep in mind, buying locally sourced goods will not only decrease your carbon footprint, but it can also help support small, local businesses and show the demand for non-bee products. At the end of the day, honey is made by bees for bees, not for us. Please consider the truth. Now, tell me how you feel! How did this article affect you? Comment below with your reaction. I’d love to know!